Has fast food hypnotized us? Quote Reply Topic: Has fast food hypnotized us? Is there any good fast food? I mean really. Is there? I get it. Really I do. This stuff is subsidized so it is cheap. It's quick for people on the go. It's also one of the only options available to some inner city markets. But does it taste good? We all know the trouble this industry has gone through to hit all of our hardwired human hot button desires for fat, salt and sugar. Even so, does it taste good? Nowhere is this dumbing down of American tastes more evident to me than in the world of Mexican cuisine. Taco Bell, I'm looking at you. Just what is this garbage? Powdered beans, tomatoes that don't taste like anything, onions that don't taste like onions, cheese product. And what kind of meat is that? I live in an area that is dotted with tiny "hole-in-the-wall" family owned Mexican taco joints. Most are small, have limited menus, and serve delicious tacos, burritos etc. 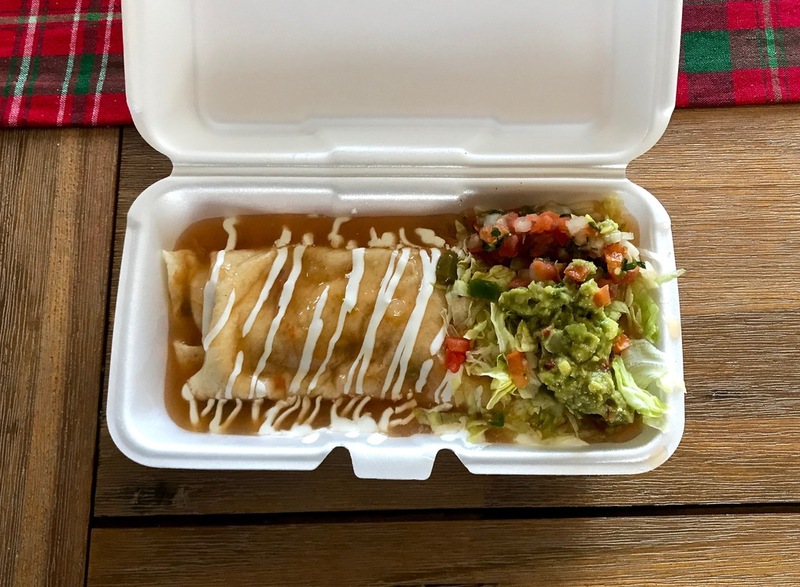 Here is one small example of a take out smothered chorizo, egg, and potato breakfast burrito served with pico and guac. With added homemade fermented habanero salsa. This stuff is hot and oh so good. This burrito is big. It is to much food for breakfast, lunch, or dinner. It is absolutely delicious and it costs $4.00. There is another Mom and Pop Mexican hole-in-the-wall right across the street that is different but every bit as good if not better. Which place I go to depends on what kind of mood I am in. There is a Taco Bell one block from these amazing places that is both mobbed on the inside and at the drive through window. What are these people thinking? Why, but why would anybody choose such nasty food over some of the the finest Mexican food made. And at bargain prices. Fast food has hypnotized us. Industry is winning and we are losing. well I'm jealous. That would easily cost $10 here. All the mexican places here seem to be owned by the same family and have identical menus of the same stuff, made the same way. Of course there are exceptions, and some very fine mexican food trucks, but they are the exception rather than the rule. I suppose the draw of TB here is the convenience. It's fast and you don't even need to get out of your car. Now taste, that's a whole other thing. I'm with you, it's pure crap. The only time I ever eat there is when it's 2 am and I'm coming home from a party somewhere and it's the only place open to get warm 'food'. And yes I put food in quotes on purpose. ....The only time I ever eat there is when it's 2 am and I'm coming home from a party somewhere and it's the only place open to get warm 'food'. And yes I put food in quotes on purpose. Mexican food, real Mexican food, is supposed to be cheap and I suppose the large Hispanic population here has something to do with the quality and pricing. There are also quite a few Mexican-style restaurants here. Restaurants along the lines of Three Margaritas. Places like these serve the "whitest" Mexican food there is. Some are very upscale and are happy to make up a customized salsa in a molcajete at table side. Gourmet Mexican if you will. Whatever that is. Clearly these are a step or two above the Bell but they ain't Mexican food. The best places around here always seem to be off the beaten path. I've never been disappointed by one of these. gMan - you are right indeed; It is an almost identical situation here in my area. The discussion of course can apply to so many different types of food, from simple diner food to Italian to Chinese to...well, almost anything.... 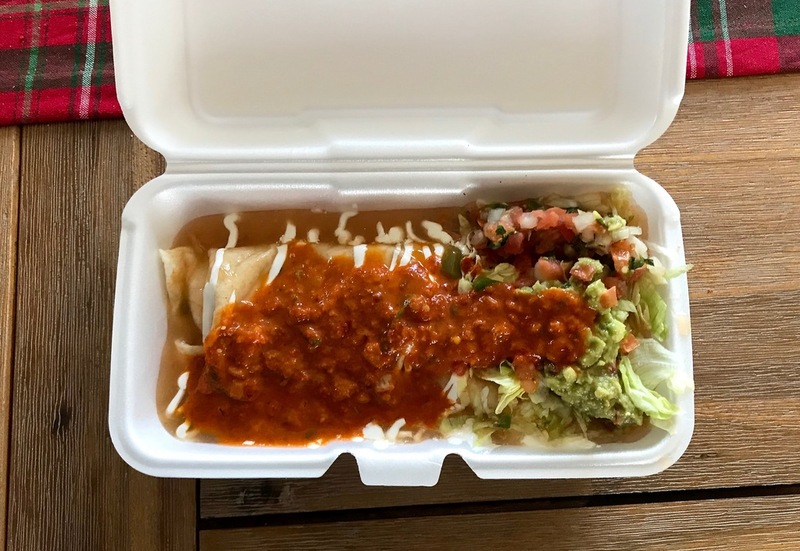 But, since we started south of the border, there is a great Mexican restaurant in Great Falls, with a very comprehensive menu, but too often, the parking lot is sparsely populated, while the nearby Taco Bell drive-thru line is full. I think that "convenience" is definitely a big part of the equation, and that so many people are "on the go" these days that the lure of the drive-thru is too difficult to pass up. But over time - dare I say, over generations - it is simply a dumbing-down...people are barely aware that there is anything different, let alone better. Price is a factor too, in some cases, but your example in the opening post clearly shows that it doesn't always have to be. Probably the best Mexican food I ever had was in one of those hole-in-the-wall places you mention. It was in Dillon, Montana, which one wouldn't normally associate with Mexican food, except for the fact that I believe it is on the route for migrant workers, some of whom must have stayed around a generation or three back. I am very glad that they did, because it ws true "grandmother" cooking, at a very nice price. For less than the cost of a trip through a drive-thru line, 5 hungry people ate some extremely good food. It wasn't fancy or elaborate, but the amount of love in it was priceless.